When you stand on top of the cathedral tower in Florence it feels like you can see the entire city spread out before you. As Galileo pointed out in this City 500 years ago, it’s easy to mistake your viewpoint as being the centre of the universe. 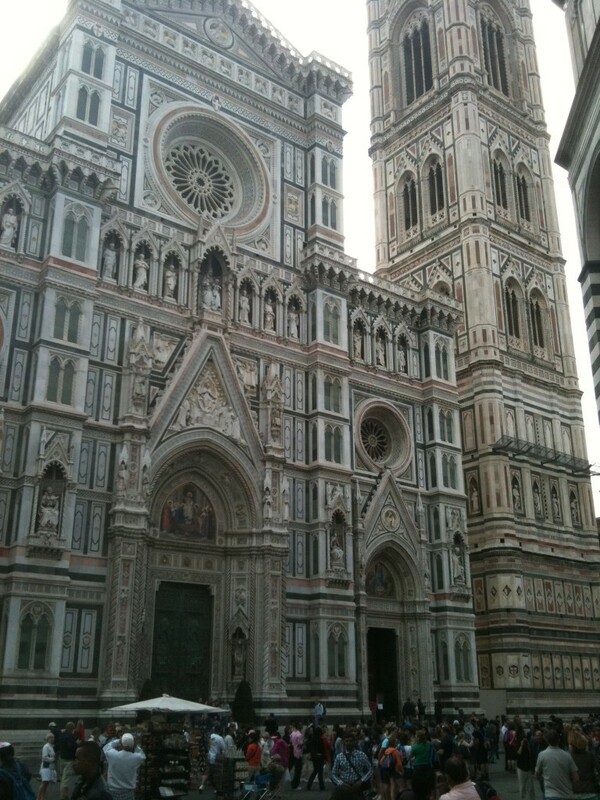 The main buildings in Florence look like models built from ivory. They are lovely testaments to a truly rich city-state. Our first stop in our day-trip to Florence was to climb up to the top of the dome of the Duomo. It’s a claustrophobic experience, but completely worth it. The view inside the Duomo is beaten only by the view outside from the top. The only problem, one shared with many famous monuments, is that you are standing on the very item that dominates the Florentine skyline – and so you can’t see it. Gelato in the Piazza della Signora. After returning to ground level we made our way to the Piazza della Signora. We had lunch while picking out horrible history spots. Coming over from Lucca on the train we’d been regaling the boys with some of the more gruesome stories from Renaissance Florence. And there are some beauties: most of them seem to centre on the Piazza and include a fine range of burning, hanging and torturing. The one they particularly loved was the Pizza conspiracy which ended with its leader’s head being used for a door-knocker on his Palazzo. The Uffizi Gallery was next on the list. Getting in proved easier than expected (see details at the end) and the Gallery lived up to expectations. It is a stunning collection of Renaissance art. Now I have to say there was a time when Jennifer and I could spend hours wandering around an art gallery; and there will, I am sure, be times like that again in the future. But those times did not involve two young kids. The kids are good about galleries simply because we do the major tourist thing – we move at speed picking out only the famous paintings or something which is particularly captivating or educational. So today we went through a gallery that could absorb a whole day in about 90 minutes and we all came away fairly happy. After dealing with the culture we hit the food. 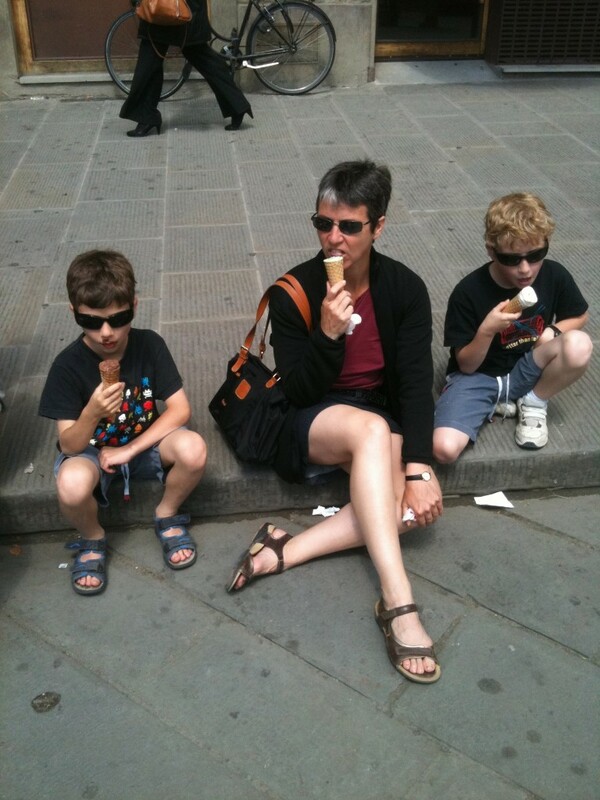 Gelato was supposed to have been invented in Florence so we had to try some on the spot. Conclusion: it tasted the same as in Lucca and other places but cost a significant amount more. A long history of ice-cream making is matched by a long history of fleecing tourists. Our final stop in Florence as the Galileo Museum of Science History. This museum fails utterly against most of our science museum criteria – it’s confusing and there is nothing hands-on. But it is brilliant in a completely different way. We saw the actual lenses and telescopes used by Galileo! We saw other original scientific instruments, all of which we beautifully hand-made. We saw the originals of demonstrations we’d seen reproduced in science museums around the world. It really hit us how much fun science was back then. So many of the cool, hands-on demonstrations we’d seen in Amsterdam, Singapore and other places were created two-, three-, four-hundred years ago. They were originally shown to great fanfare in lectures presented as social events. Now they are used to show the same principles to kids. The only real difference was the wonderful, fine workmanship of the instruments involved. 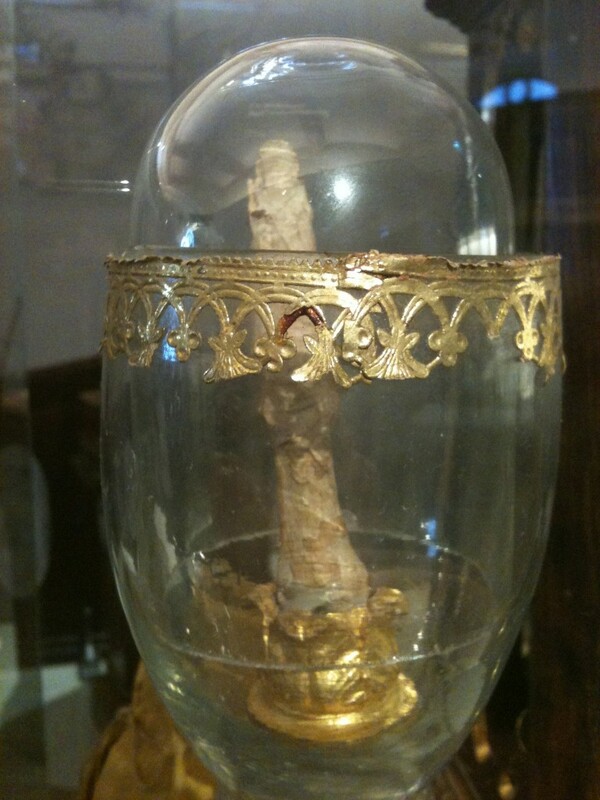 The Galileo Museum also has, rather strangely, Galileo’s finger preserved in a glass jar. For posterity, the middle finger of his right hand sits, forever vertical. If you wanted to read some symbolism into that, and I do, I’d like to think it was forever gesturing towards Rome and around it the words “And yet it moves.” echo. For those who might some after: We read a lot of stuff about queues and the difficulties in getting tickets and here’re the lessons we learnt. If you visit the Duomo the front entrance has an expensive ticket which gets you to the roof and inside the Duomo. The queue for this today was a couple of hundred metres long. For significantly less money and half the price you can go to the entrance on the left of the Duomo and buy a ticket to go just to the dome. The 20-metre queue zipped along, you still get to see inside the cathedral (but not wander about) and you get the view from the Dome. Tickets for the Uffizi are a mess. If you just turn up you will queue, literally, for hours. 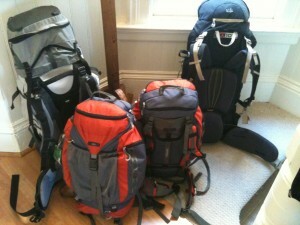 The online booking service fills up months in advance. The telephone service, however, is a joy. We phoned yesterday and booked tickets for today. You call +39055294883 press 2 then 4 and you speak to an English-speaking operator who gives you a booking number. You then turn up at the Uffizi 15 minutes before your booking and pay for your tickets. Then after a few minutes queuing, you are in.